The suns out and it’s hot, so what’s the first thing on your mind? A generous helping of refreshingly cold homemade ice cream. But if there’s one thing we all know about British weather it’s that these hot spells can be fleeting. And that’s why the Buffalo Ice Cream Maker is perfect for your ice cream cravings. Its built-in freezer means you don’t need to pre-freeze the bowl – so you can have ice cream as soon as the idea pops into your head. Wash the bowl and mixing paddle before its first use then secure them in place in the ice cream maker. Pour your ice cream mixture into the bowl until it reaches halfway and lock the lid in place – the ice cream doubles in size once it’s frozen so you need to leave enough room for it to aerate. The numbers on the dial represent minutes – so if you turn the dial to 30 the ice cream maker will churn your ice cream for half an hour. If you prefer firmer ice cream you’ll need to churn it for longer than half an hour. Keep checking the consistency every 5 minutes. 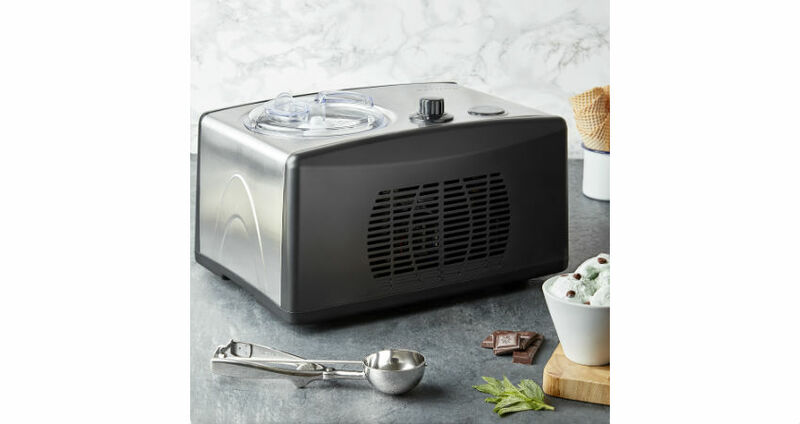 You’ll hear the motor working harder as the ice cream thickens – once the ice cream has fully frozen you need to turn the ice cream maker off immediately to protect the motor. The pouring shoot lets you add more ingredients to the mixture – only add mix-ins, like chocolate chips and almonds, in the last minute of churning. You just want to distribute the extras evenly as the ice cream’s already done. Homemade ice cream keeps for up to a week. Make sure you store it away from any pungent food in your freezer. Shallow, flat containers like the Sistema Klip It Storage Container, are best for freezing and storing ice cream. Tip: If you're an ice cream enthusiast it may be worthwhile purchasing a spare ice cream pot to store in your freezer. You can make successive batches and flavours of ice cream. It’s easy to get your hands on ready-made ice cream mixtures. But if you do fancy making something from scratch then check out our ice cream recipes here. Unplug the machine and leave it to completely cool down. Use a dampened cloth to wipe over the outside of the unit and then polish it with a dry cloth. Wipe away any excess food from the power cord. Wash the removable bowl and the accessories in warm soapy water. Make sure you thoroughly dry everything before you store it away. Find this interesting? 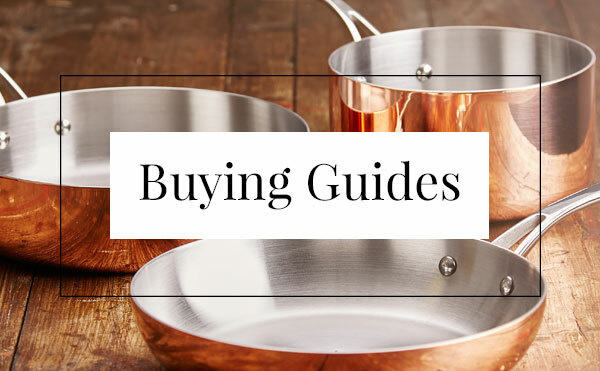 Check out our Buying Guides and How To's page to get inside knowledge from the chef world. 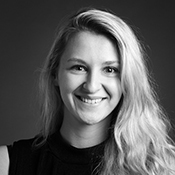 Consumer Marketing Executive at Home Chef.